Fiberglass Shop - Your resin specialist in Germany. Discover the newest technologie in polyester resin. Now available at Fiberglass Shop all around Europe! 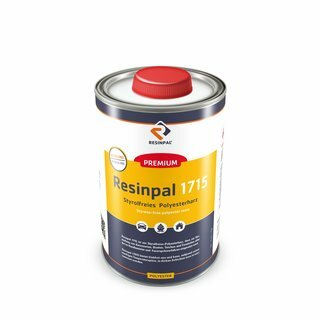 Resinpal 1707 – The resin to cast clear parts. Do you want to coat wood and canvases crystal clear? 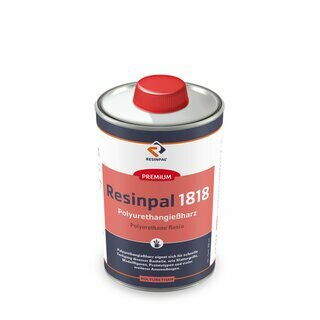 It is easy to accomplish with Resinpal 2416. Browse our large range of casting resin and coating resins. Fiberglass Shop delivers crystel-clear resin an fast-casting resin. At Fiberglass Shop you will find a large selection of the necessary products for boatrepair. Here you will find everything about RC-model making. From mold making to product production. Reinforcements an high quality resins can be found here. Use the wide range of products of Fiberglass Shop. Make it to your project! At Fiberglass Shop you can find a huge portfolio of products concerning fiberglass-reinforced plastics. At Fiberglass Shop you can buy polyester resin, epoxy resin, casting resin, polyurethane resin, gelcoat, topcoat, or color pastes for industrial grade synthetic resins on favorable terms. In addition, Fiberglass Shop offers a wide range of reinforcing fiber, such as fiberglass mat, glass filament fabric, glass scrims and carbon. Fiberglass Shop is aim is to private users, business people, industrial users, resellers and public institutions the best quality on the market. As a company based in south German, near Munich, all the products of Fiberglass Shop are fulfilling German industry norms and German quality standards. Furthermore, we guarantee a very fast shipping. All the products we offer are in stock. Order our newsletter and dont miss any News. Get a 5 % discount for your next order at Fiberglass Shop!